I posted on Facebook that 2017 was the most wonderful year of my life so far. I didn’t say why. Now I’d like to say why. The answer is much too long for Facebook plus I wanted to share this with you. There are two images that I’ll share with you to explain ‘the why’, and then I’ll share how it all relates to Finding Your Voice. And then I’ll share some offerings for you to Find Your Voice as we begin 2018. The first image that explains why 2017 was the most wonderful year of my life so far is a river of Light. And this river of Light is rippling through my body, through my belly actually, and that Light beckons me to surrender to it and I do. 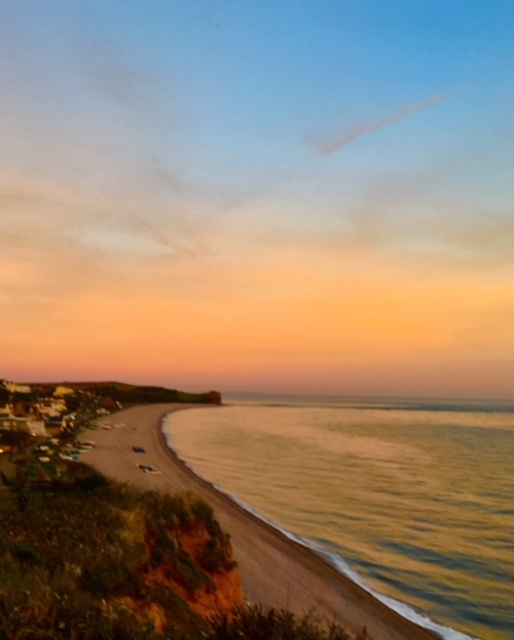 This image has been very real to me during the entire year, the most poignant time was while I was in Devon on the coast. The river of Light reflects how deeply I realized that I am a spiritual Being having a human experience. I’ve known this forever. But the realization sank in deep last year. The reality of the non-changing aspect of my Being—that realization made a quantum leap in my awareness . And it’s this non-changing aspect that brings me to the second image! A seagull riding the waves in the sea. I am always talking about the vertical plane of life and the horizontal plane of life in sessions and workshops. The vertical plane is our awareness, our Being, the non-changing aspect of who we are. It is our awareness of the Divine and our focus on the Light. Note that we must focus upon it to make it conscious. The horizontal plane is the dualistic plane, the earth plane—it’s where we have good weather and bad weather, pain and happiness, war and peace, our to-do lists, our bank accounts. The horizontal plane is our human personality as well—the emotional ups and downs. The seagull riding the waves is an image of a Being who lives on the horizontal plane but who is so connected to the vertical plane that she doesn’t fear the next wave. She just rides up and down experiencing the dualistic nature of life but not letting it disconnect her from the vertical plane. We all have the potential to do this: to fully be in the world of our day to day life while also staying connected to the deeper truth of our Essence and of the greater Spirit. I want to speak to you now about Finding Your Voice. Finding Your Voice is about finding the expression of that timeless part of you, the vertical plane as it connects to the details and experiences of your life, the horizontal plane. Finding Your Voice is about recovering your wholeness by bringing to your conscious awareness the places in your life when you were silenced and letting those muted voices now have space to speak and be heard. Finding Your Voice means that you tap into your own river of Light deep within you. You learn what it feels like to you. What it sounds like. What its message is. You learn to listen and devote yourself to finding the voice of your wholeness. This voice feels so good that even if you aren’t experiencing it right now you can imagine, if you try, the bliss of finding it and standing behind it. You can imagine this because your Soul knows it already. Your soul’s deepest desire is to express this Voice. 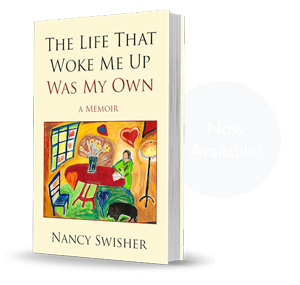 It’s the human aspect of you that was silenced, shamed, made to feel unworthy or small. And maybe this was only a tiny aspect of you and hasn’t kept you from being successful in the world but it is still a silenced part and to be whole it needs to be heard. It’s the human part of you who was told that to succeed you had to silence your emotional intelligence and your feminine heart in order to produce more and make more money. It’s the human part of you–your body–that has carried around the psychic pain of being a woman in patriarchy for a couple thousand years. Finding Your Voice weaves together your Light and your body, your Truth and your shame, your Love and your outrage. You own all of who you are at this point in time —- your wisdom, your truth, and your gifts. You heal what needs healing, discover what new voices await your recognition and integrate them within your heart and express your them in your life. This expression itself is transformative and causal. It is the reason you are here. CLICK HERE to schedule a free Skype call with me to explore one to one online intensive, which is the most deeply transformative of all my offerings. 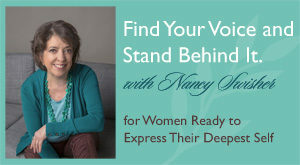 You can schedule a talk with me to discover what Finding Your Voice would mean in your life. Once you schedule, I’ll send you a free assessment to take so we can talk about that during our call. 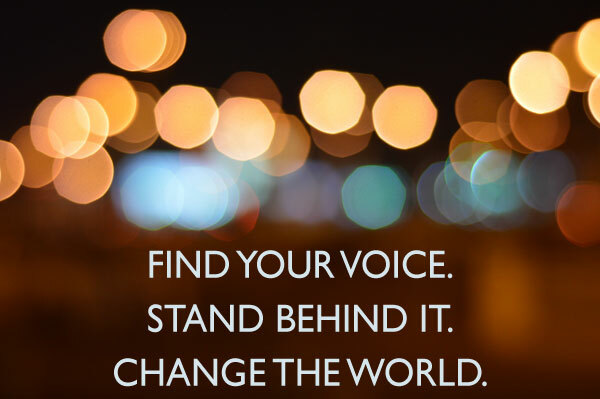 Find Your Voice and Stand Behind It at Kripalu Center March 2-4. I look forward to seeing many of you there. It’s just a couple months away so be sure to register soon to get your spot. Kripalu is a powerful place to gather and the group intention that we create together will provide a beautiful container for each person to Find Your Voice. CLICK HERE to read more and register.